The Beverly Hills location of luxury shop Barneys New York just added a new department: Cannabis. Dubbed the High End, the boutique-within-a-boutique goes beyond what we’ve seen at competitors like Fred Segal, which have long stocked their shelves with CBD ointments galore. The High End is a licensed adult-use dispensary, and will sell a full range of products, including plenty that will, as the name suggests, get you high. 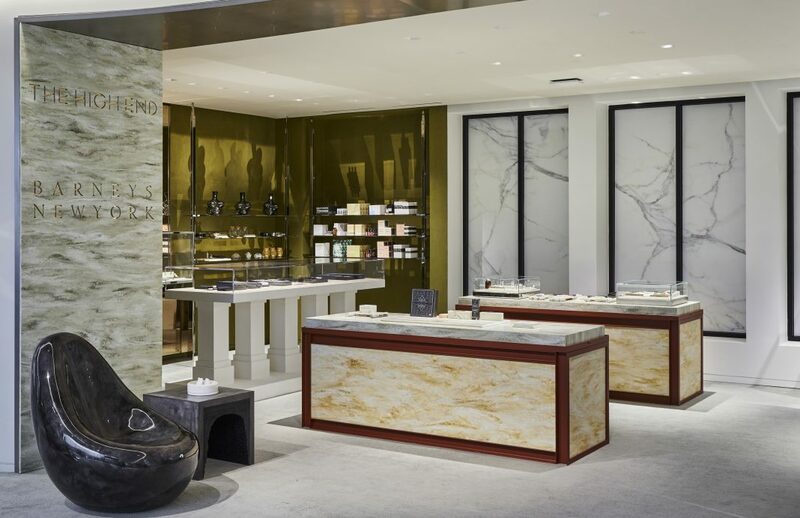 Designed to make luxury fashion shoppers feel equally at home shopping for cannabis, the elegant space features marble tables and gold-leaf-covered shelves, stocked with up-market cannabis options, all selected for their wellness benefits. The project is a partnership with local cannabis brand Beboe (a company once called “The Hermès of Marijuana” by The New York Times). Beboe, an early leader amongst bougie bud brands, was founded in 2014, and picked up investments from celebs Lake Bell, Rose McGowan, and Net-a-Porter backer Carmen Busquets. In February, the L.A.-based Beboe was bought by Green Thumb Industries, a cannabis conglomerate based in Chicago and Vancouver. In addition to Beboe’s existing line and some limited-edition offerings, the High End will stock exclusive luxury cannabis-infused dark chocolates from Défoncé, a custom-cultivated strain by Sherbinskis available as prerolls, and an array of beauty and body products, sophisticated smoking and lifestyle accessories, and other so-necessary accouterments of the contemporary cannabis connoisseur. Barneys New York, 9570 Wilshire Blvd., Beverly Hills. The High End is located on the store’s fifth floor.